Playtesters are the sole authority of their own experience. There is not a single person in existence better qualified to comment on the player’s experience than the player herself. We designers need our playtesters to share their experiences with us. It is critical to gather as much of these as possible. It would be ideal if our playtesters could state exactly what issue they see in our design. In that case, they could point us directly where we need to put our eyes. Unfortunately, that will seldom be the case. Be mindful that playtesters are not generally experienced designers. They know what they like (or don’t) but they may not be able to fully articulate why they like it. This is not to say in any way that their feedback isn’t useful but instead to emphasize the role of playtest data as an indicator. This is why it’s so very important to ask follow-up questions. Writer Sarah Aronson related her relationship with feedback in a 2012 post on Through the Tollbooth. She says that the feedback she receives points her to what is working, to what is not working, to the seeds of good ideas which need watering and a bit of TLC. Aronson used her next post to share some of her key questions: where are the hooks that pull you in? Is the plot balanced? What were the most memorable moments? How was the pacing? How was the length? 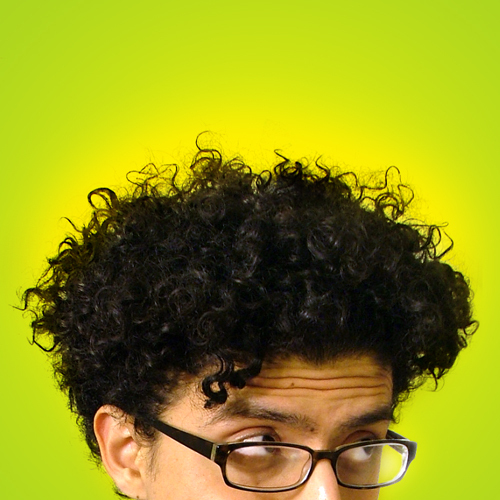 Designer buddy Gil Hova is one of the folks I consulted while working out my thoughts for this series. He referenced a blog post by Daniel Solis in which Daniel laid out his process for evaluating playtester feedback. Daniel says near the end of the article “I didn’t end up using any of these new suggestions directly, but instead tried to suss out what those suggestions were trying to fix. They were trying to make early choices matter.” Again, playtester feedback may not be the solution but it is a valuable indicator. Gil also shared his experience applying Daniel’s approach. Gil brought his new game Primetime (which is excellent by the way and you should plan to buy a copy as soon as it drops) to a gamer con and showed it around. The first two groups each told him that it was boring to have so much money but little to do with it. “I should be able to spend money to X,” they said where X was any number of player options. Gil stepped back and asked what underlying problem might lead to these comments. His conclusion: it was not a problem of too few options for the money, it was a problem of too much money! He tightened the game economy up drastically and the game began to sing. Rolling Freight came with us to BGG.Con a few years ago, shortly before it went to the printer. This would be our last chance to get outside feedback, to look for loopholes in the rules and the like. One of the players mentioned that improvements lost value over the course of the game and that they should therefore get cheaper as the game proceeds. Through three years of development, this idea had never occurred to any of us–what an awesome idea! That idea had to be left out of the core set. Rolling Freight was already a bit rules-heavy and I was concerned that the extra rule would have been the straw that broke the camel’s proverbial. But I held on to it. And I put it in Expansion #1: Great Britain/India. And it will appear in Expansion #2: Austro-Hungarian Empire/Mexico as well. A huge breakthrough. All for the low low price of listening to a playtester. Researching this series led me to evolve my position as each new source made it progressively clearer that this is a broad concept with no simple answers. Reading your comments led me to adjust my position as each new response made it progressively clearer that we all will have our own take on the issue. Writing this series has matured me as a designer. I hope that in reading it, you have too. How do you playtest? What sorts of feedback are you seeking? Do you give directed instructions or do you encourage testers to explore your game? How do you record your data? Share with your fellow readers in the comments below. And if you’re enjoying what you’re reading, create and account with WordPress and follow this blog. If you keep reading, I’ll keep writing. Part one of this series generated intense response from both camps. Some lauded my comments. Others decried them. So long as we’re debating, we’re thinking. As long as we’re thinking, we’re growing. So long as we’re growing, we can avoid the arrogance of success. Keep those comments coming folks! A designer I know asks of his playtesters, “give me your problems, not your solutions.” In support of this position, he offered five arguments. My collaborative philosophy finds these arguments fundamentally flawed. Argument 3. Playtesters tend to get attached to their suggestion and resentful if that suggestion isn’t used in the final design. This is a valid concern. It is also a concern that can be alleviated with appropriate courtesy. Thank each person for their input. Thank them for helping you make the best game possible. State that you’ll be looking at all of their suggestions, working to integrate them and refine them in the best way possible. This response also keeps the peace when two playtesters come up with conflicting suggestions during the same test. Acknowledge that you won’t be able to integrate both suggestions and that everyone is working for the same goal–to make the game as good as possible. In other words, thank all playtesters for their contributions. Then express that every perspective adds to your picture of the game as a whole and helps you to make the best game possible. In this way, unused ideas have been acknowledged and the tester knows THAT YOU KNOW that she made a meaningful contribution. This is all most playtesters need to hear. Playtesters want to know that you appreciate them. They want your acknowledgement and respect. Give it to them. Argument 4. Playtesters cannot see the inner workings of the design. They are therefore ill-equipped to make informed suggestions. This argument might be valid in the world of computer game design but it is not a reasonable statement about tabletop games. The opposite is true. One of the principal reasons many CG design schools begin by making students create tabletop board games is precisely because tabletop games DO reveal their inner workings. Imagine you’re playing a dungeon crawl-type game like Orc Vengeance on your smart device. you know that your hero’s sword has power 38 and your hero has strength 53 but the damage it deals seems to vary from about 60 to 130. Do you know why that variation exists? Is the enemy’s armor a factor? Its agility? Terrain? Is your target resistant to your attack? Or vulnerable to it? Does the game use a randomizer? If so, how? Through trial and error you will likely figure out many of these details. This will take time and even then you will probably not figure out all of them. It is tricky to study CGs from the outside because the game engine is obscured by the interface. Now imagine you’re playing a dungeon crawl board game like Descent. The rules are there to be seen, to be analyzed, to be assessed. You can look at the die faces and estimate your odds. You know what modifiers exist and when they matter. The inner workings of traditional tabletop games are quite close to the surface. Argument 5. Many players don’t want to raise a problem without having a solution as well. Asking players to express only the issues frees them to raise issues to which they see no solution. This is certainly the most well-meaning among the arguments–well-meaning but implausible. We need playtesters to be candid. We need playtesters to express every opinion that occurs to them in whatever form that opinion should take. Once you’ve got that feedback, then you can decide what best to do with it. Fail to get the feedback and you’ve got nothing to work with. Many people have been trained by their experiences in the corporate world not to raise issues without having a solution to offer as well. We definitely need playtesters to disregard self censorship. However, instructing them to ‘offer issues, not solutions’ constitutes a direct order them to self-censor. It is not plausible that such directed censorship will free them from internalized censorship. Instead, encourage openness. Practice saying phrases like “I’ll look at that,” and “how do you feel that would improve the game,” and “how do the rest of you feel about that.” Expressions like these make it safe for them to offer every concern and suggestion. You will quickly see a change in their candor and their expressiveness. I guarantee it. Argument 6. If I incorporate too much playtester feedback, it won’t be my game design anymore. This was not one of the arguments he put forward but in developing this article, a few other folks did raise the question. While others may have given you a huge number of ideas, it is you who decided what to incorporate and how to incorporate it. It is this which makes you the craftsman, not the originality of your ideas. Ask any designer, artist or craftsman and she will tell you that ideas are cheap and plentiful. Achievement is derived from refining and editing those ideas. There may be several arguments for “give me your problems, not your solutions” but I found them to be fundamentally flawed. Today, we debunked the remaining arguments against soliciting playtester feedback. That attitude is dismissive, arrogant, unfortunate and ultimately toxic. On Friday, we return to look at positive ways to playtest and ways to best use player feedback. See you in three days! How do you use playtester feedback? What role would you give your playtesters? Do you give them any directed instructions or do you encourage them to explore your game? Or are you a laissez faire tester? Share with your fellow readers in the comments below. And if you’re enjoying what you’re reading, create and account with WordPress and follow this blog. If you keep reading, I’ll keep writing. So I consulted the designer in question. Yup. “Give me problems, not solutions.” That’s a direct quote. I asked for further clarification. Wouldn’t you? He obliged my curiosity and related the reasons which led him to this conclusion. First, he expressed that the suggestions playtesters give are usually bad. Second, that while the playtester is relating the suggestion, he was generally running other–presumably better–variants in his head. Third, that playtesters tended to get attached to their suggestion and resentful if that suggestion isn’t used in the final design. Fourth, he stated that the playtesters could not see the inner workings of the design and were therefore ill-equipped to make informed suggestions. Fifth, that many players don’t want to raise a problem without having a solution to offer as well so asking players to only express issues freed them to raise issues to which they see no solution. A friend of his–another designer–stepped up and agreed with these assertions before they left for dinner, leaving me to reflect on their point of view. I went on to discuss this position with other designers. I have sought the opinion of creative people whom I respect. I consulted folks that can be trusted to give you an honest opinion, who are candid to the point of brutality. These conversations led to a number of useful perspectives. Considering each enabled me to codify my own position. I am only one person. I won’t pretend to be an expert on any designer’s method but my own. If an adage like “give me problems, not solutions” fits your design philosophy and it works for you then by all means continue. But I cannot imagine working successfully with such an attitude because it seems to me that the arguments underlying this approach are fundamentally flawed. Argument 1. Playtester suggestions are usually bad. “Usually useless” = “sometimes useful.” So listen to every idea that comes your way and keep looking for the good ones. Who cares if 99% of the suggestions playtesters offer are bad? Be assured that 99% of my ideas are bad. Einstein said the same thing about his ideas. That’s exactly why we need as many ideas as we can get. With a 1% success rate, we had better be looking everyplace we can for those diamond ideas. Argument 2. While the playtester is relating the suggestion, the designer could be contemplating other–presumably better–variants in his head. Playtesters are the sole authority of their own experience. There is not a single person in existence better qualified to comment on the player’s experience than the player herself. We designers seek–and sometimes bribe or beg–her to share her experiences with us. It is critical to gather as much of these as possible. You certainly need to hang on to the ideas in your head. It is equally important to hang on to the ideas coming from your testers. You are going to have a hard time processing playtester feedback while your brain is off creating other variants. And people can tell when you’ve checked out. 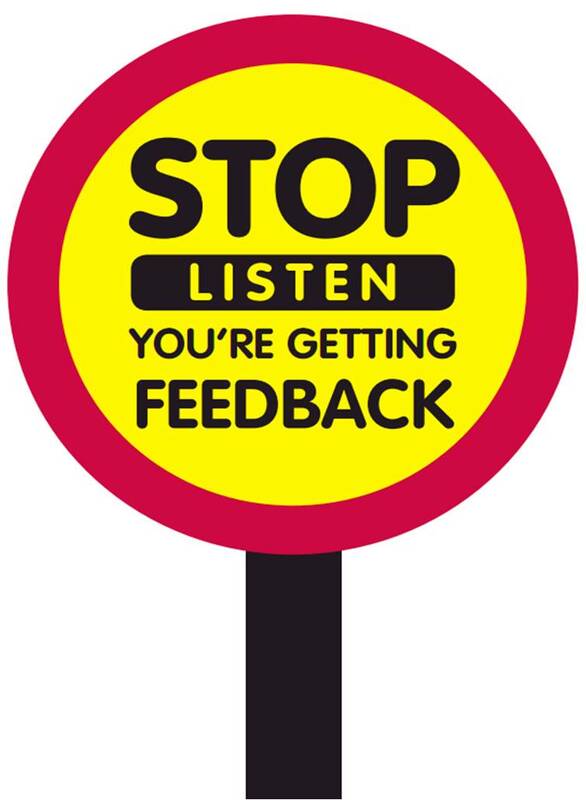 If you stop listening while they’re offering feedback, your testers will rightly choose not to return to your table. Playtesters choose how to expend their energy. They’ll choose the designer with the courtesy to respect their feedback. It is for this reason that I always have my notebook open and ready to record. I’m set to jot down my thoughts and feelings while still recording those of the testers. “It felt like _____,” and “why would I ever_____,” and “this would be better if ______” are all data you need to capture. Sort through them later. Remember that 99% of them are probably bad–both you ideas and theirs. That’s why you need them all. Every single one of them. Today, we debunked the first two arguments against soliciting playtester feedback. On Tuesday, we return to examine the three which remain along with a sixth one which arose during my research. The first Protospiel Houston event was last weekend. This weekend–March 21 – 23 will see another in Milwaukee, Wisconsin. More, listed at the main Protospiel page are coming soon. Several followers asked for a report from the event. It is a strict rule of playtester etiquette to keep every prototype you play secret unless its designer specifically gives you permission. Many details have been left out for this reason. With that disclaimer in place, here are some of the high points. Our attendance target was 30. We had 41 attendees. We hosted three speakers. We successfully hosted a design challenge. We had a great number of playtesters who attended with no affiliation to any particular designer–they were simply interested in being part of the design process and in providing helpful feedback. APE Games and Living Worlds Games generously donated to the event. Without their support, we would never have been able to have Protospiel at all. These are great companies that deserve your support. Check out their games. Not everything went according to plan. Three of our scheduled attendees were not able to be with us due to circumstances far outside of their control. We wish them well and hope everything resolves itself as soon as possible. All creative endeavors include plenty of mistakes. Mistakes are a good thing. They give us an opportunity to learn, to adjust, to adapt, to improve. Many of the best teachers and managers I’ve met refer to mistakes as “opportunities for improvement.” It seems to me that this is exactly the right mindset. The stories which follow each showed me an opportunity to improve. I hope you will find them useful as well. 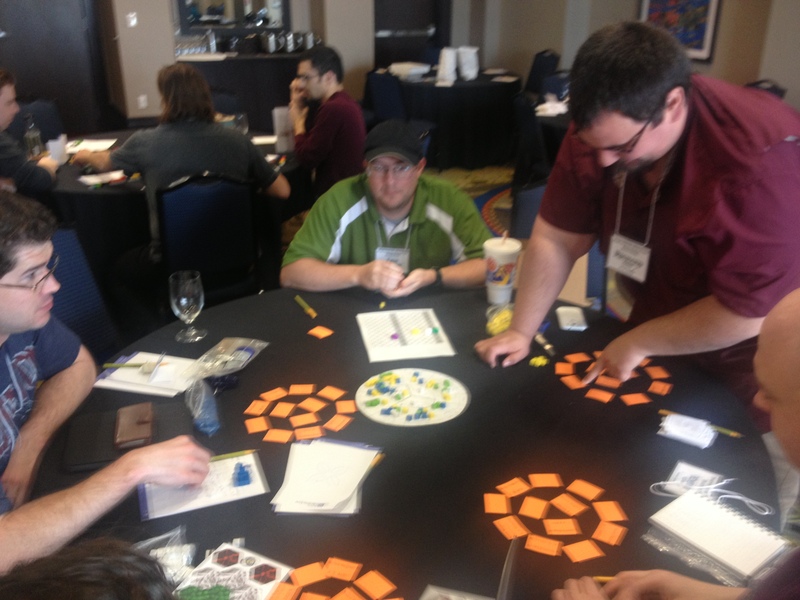 The first game played at Protospiel Houston was Cubic Conjurers by Richard Gibbs. This was a highly interesting spin on a few relatively common game mechanisms. Once fully polished, this will be a solid addition to any gamer’s collection. Interestingly, Richard did not plan to bring Cubic Conjurers out. Lesson: give every prototype its chance on the table. You might be surprised by the feedback you receive. I was scheduled to give a talk at 7:00 Friday evening. Of course, it’s hard to stay on schedule when you lose your flash drive. One frantic dig through my email found a copy I’d shared with a proofreader. I downloaded it and went straight to the talk. Lesson: always have a backup. A prototype making the rounds over the weekend was strongly simulationist. Unfortunately, the simulation was so accurate that pure luck could catapult a player forward or leave that player far behind with no way to catch up. Most of the feedback at the table addressed this issue. Lesson: Always leave room for skillful play to overcome bad luck. Another prototype which spent a great deal of time on the table looked quite a bit like a published design. Although the designers asserted that they’d spent years developing their game and the game it resembled has also been on the market in major outlets for years, they both insisted that they’d never seen the published version. Much of the feedback at this table focused on ways in which this design could distinguish itself from its preexisting competitor. Lesson: Market research is essential. Sunday morning was my chance to run a playtest of a game in development for APE Games with Mr. APE himself, Kevin Brusky. Although many game elements are performing well, quite a few were far off the mark. I’d fallen victim to the classic designer problem of trying to be too clever. Rather than the clever effects I was aiming for, I’d written effects so situational as to be essentially useless. Fortunately, the playtesters spotted the problem and brought laid it out for me. Lesson: Be prepared to rethink your ideas, particularly the “clever” ones. You prepped and polished your prototype. You made the trip to a Protospiel event (or some other awesome playtesting event) You put it your design in front of a bunch of total strangers. They gave you tons of feedback. Now the convention is ending and your next steps lie before you. Where should you start? You had good preparation. You had good execution. Now you need good resolution. What will you do AFTER the convention is over? Let’s get right into it! 18. A publisher expressed an interest in my game. When should I contact her? Kickstarter, and Indiegogo other similar crowdfunding platforms are opening new avenues for distribution and advertising however. If you’re considering the self-publishing route, I would urge you to contact some of the folks who have already gone that route. Folks in this industry are sincerely supportive and will give you solid advice. 20. The playtesters wanted to completely overhaul my game. If I take their advice, is this still my design? The long answer is that playtesters will give you every manner of idea. It is your job as the game designer to analyze each suggestion, to carefully pick which ones to incorporate and which ones to set aside. It takes a great deal of work to do that kind of fine-tuning. It is that work which entitles you to call this game your own and to put your name on the box. 21. I got contradictory feedback from two different groups. Now what do I do? 22. But I have limited time and other responsibilities. I can’t be working on two (or more) different versions at the same time. Should I quit my day job? 23. Was this playtest a “bad” playtest? Gil Hova contributed this question and spiffy dude that he is answered it as well. Rather than trying to offer my thoughts, we can all all learn from the response he offers. 24. This game just isn’t working. I’m afraid it’s a dead end. Now what do I do? Take a look at your options. Have you tried each approach you considered? Perhaps there is an idea you had, an idea which did not seem useful at the time but now fits your situation perfectly? 25. 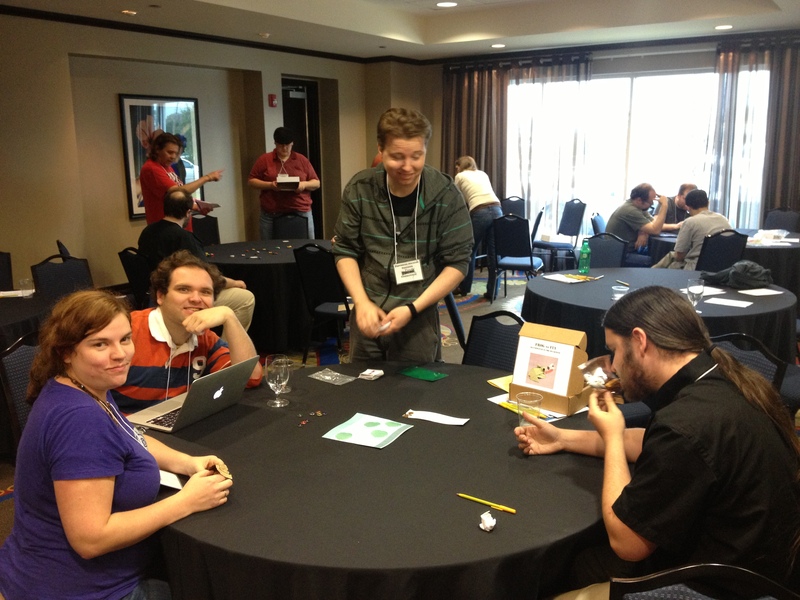 I set this game aside for months, then returned to it, polished it up and brought it to Protospiel. It still isn’t working. Now what do I do? Apart from trading email addresses with everyone you met, become an active part of the design community. Facebook has its Protospiel group. Boardgamegeek has its game design forums. Board Game Designer’s Forum is another great place to commiserate and to exchange ideas. If you’re an experienced designer, what do after a playtest event? Are you a freshman designer with a question that’s still searching of an answer? Share with your fellow designers in the comments below. And if you’re enjoying what you’re reading, create and account with wordpress (http://wordpress.com/) and follow this blog. It makes this old designer’s heart young again. Next kicks off with the details of Houston’s first Protospiel event and what I learned running it. See you Tuesday! Protospiel Houston is only three days away and Protospiel Milwaukee is just one little week behind. Designers–aspiring or otherwise–five hundred miles in every direction are scrambling to prep that game that just almost ALMOST works and get it in front of the crowd with the skill to push it through. Successful playtesting comes in three parts–good preparation, good execution, and good resolution. Last Friday’s column focused on questions of preparation. Today, we focus on execution–what will you do during the event. 8. How do I keep someone from stealing my idea? You don’t. Seriously. Your idea is a starting point and nothing more. It is in your execution of that idea that the value emerges. It is in polishing that idea until is is smooth and flows cleanly that your idea which was once nothing more than a rock gets polished into a valuable (and publishable) gem. Everyone in the room has several dozen ideas of their own to wrangle with. They haven’t got the time to think about stealing yours. Free yourself of that fear and put your game out into the world. The feedback and support you get will prove you made the right decision. 9. Should I have my playtesters fill out NDAs? This is entirely up to you. As a matter of etiquette, attendees should never discuss a prototype in any public forum without the expressed permission of the author. NDAs make your wishes on the subject explicitly clear. 10. What if a publisher asks me to sign a NDA or similar release form? Sign it. Publishers have a variety of reasons to employ NDAs. They have their own worries and need their own protections. You want to build a good relationship with every publisher you can. Being agreeable about an early request like this one will get you good karma with them. 11. Does my game have to be finished? How close to being finished does it have to be? A prototype can be at any state of being. Testing is critical at every stage of the design process. Many freshman designers talk about wanting a game to be “ready to test.” This belief and all the reasons underlying it should be carefully researched and written into a large leather bound book. That book should then be thrown into a bonfire. Aspiring designers should be made to encircle that fire and chant “playtest, playtest, playtest” until this demonic belief is exorcised from each of their minds. No good design comes without playtesting. Game designs are meant to be tested.Get your ideas on the table. Do it every chance you get. Make new chances and test it then too. Denying your design table time will delay its development and nothing more. 11. Is there anything I should tell my playtesters before we start? You should tell them where your game is at in its development cycle. Is the game new or have you been working on it for some time? Is there any particular part of the game you’d like them to focus on? Be candid. If you feel something isn’t working, tell them. Let them take a look at it. New perspectives bring new solutions. 12. What sort of questions should I ask my playtesters? The answer to this may depend largely on where your game is the development cycle. For an alpha prototype, my questions focus on the basics–is this fun? Does the overall idea work? Is this idea worth pursuing? What would you say was the core engagement of this game? During final testing, I urge players to look for every sneaky trick they can play, to find every loophole they can exploit, to try and rules lawyer the game out of whack.. Final testing is stress testing. Just like with a new model of car, you want to slam it into a few walls to see how it survives. 13. Should I playtest a prototype the same way I’d play a published game? People play games for a number of different reasons. The purpose of playtesting is to test the game. Players may try more extreme strategies than they normally might or actively seek loopholes to exploit. The pace and the experience will likely differ radically from a normal game play. 14. What if they don’t like my game? This is possible. Different players have different tastes. Every designer in the room has had that experience however. Most of them are also able to separate themselves from their feelings to provide constructive feedback regardless. 15. What if I dislike their game? This situation falls clearly The Golden Rule. Much as you may hope people will be considerate of you, so must you be considerate of them. Be respectful. Also be honest. You do your fellow designer a disservice to be any other way. Tell him exactly what you didn’t like. Be as specific as possible about your emotional response to that game element as well as your intellectual response. Offer suggestions and any changes that occur to you. Trust that he will do the same for you. 16. What if I love their game? 17. What do I do if the game is bad and its really long? Is it bad form to gnaw my arm off so I can get away? As Jame Mathe pointed out recently in the Facebook Protospiel page, a game does not need to be played to completion for it to be tested. Some games need to be played all the way through but others can end early. If the game elements are front-loaded, a half play can show all the major parts. Sometimes, only a few rounds are needed. If the game is truly dreadful, the polite way to express it is “I’m ready to talk about this game. I’m not sure that we need to play any further before I offer my thoughts.” Or something along those lines. From there, you can move on to discuss the issues you had with the game. If you’re an experienced designer, what do you like to do during a playtest event? Do you have a question about playtesting that’s still searching of an answer? Share with your fellow designers in the comments below. And if you’re enjoying what you’re reading, subscribe. It makes this old designer’s heart young again. Our next set of questions cover he take-away–what to do after the playtesting ends. See you Friday!